Come join us on Thursday, April 18th for dinner and a show! 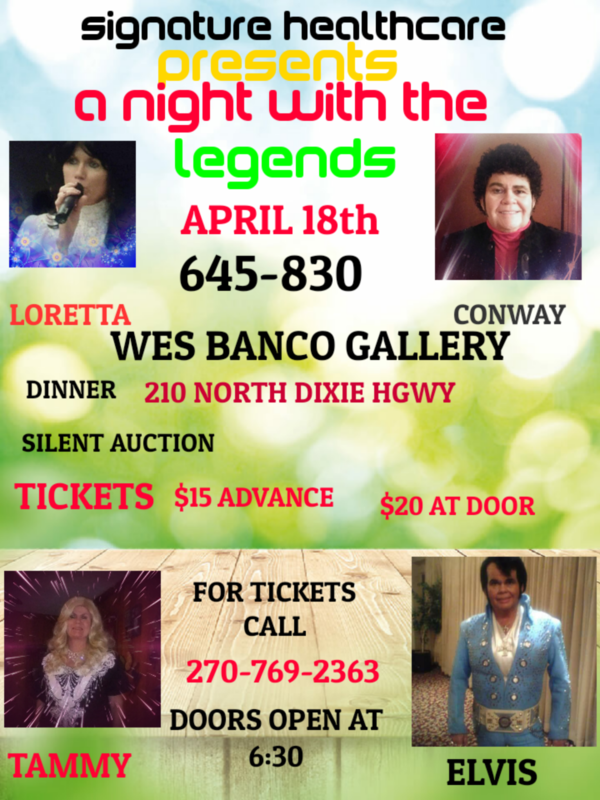 Danny Dale presents, “A Night with the Legends.” Enjoy the music of yesteryear, Elvis Presley, Tammy Wynette, Conway Twitty, Loretta Lynn! Presale tickets are $15.00, at the door is $20.00. 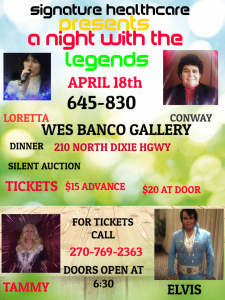 You can also pre-purchase tickets at https://www.eventbrite.com/e/danny-dale-presents-a-night-with-the-legends-tickets-59233361579?aff=ebdssbdestsearch. All proceeds will go towards our Elder Vacation to Nashville.